These aren't the greatest pictures in the world, since I was in a bit of a rush when taking them. I wasn't going to use them, but it's not often that I get a domestic car, so I decided to just post them anyways. 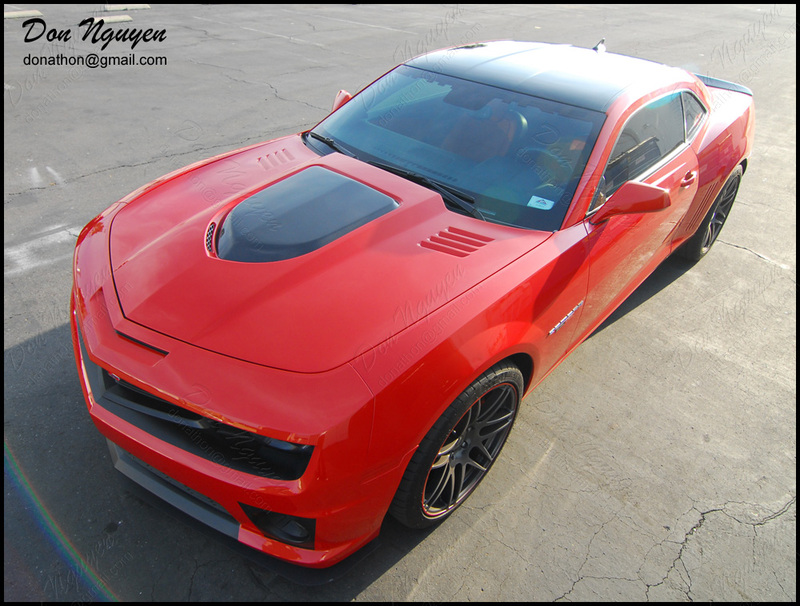 The owner of this red / orange Chevy Camaro came from Huntington Beach area out to me in Anaheim Hills to get the vinyl work done. 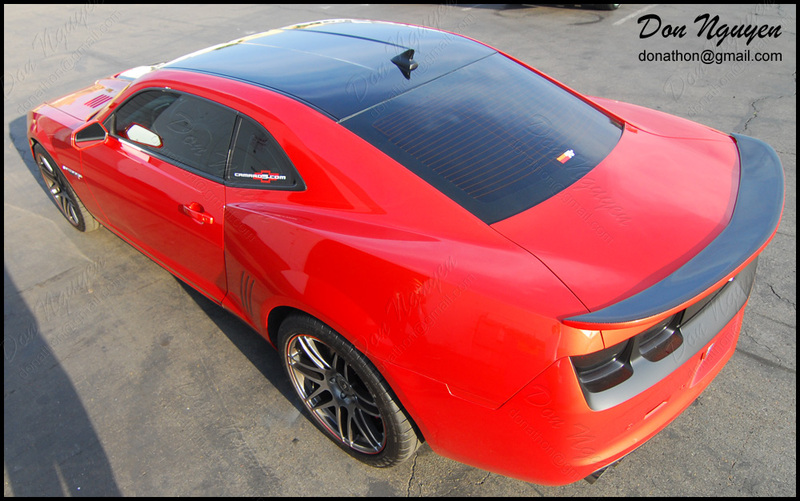 He originally had a matte black vinyl roof installed on his car but he wanted to change the look up and get a gloss black roof put on there this time around.